1. 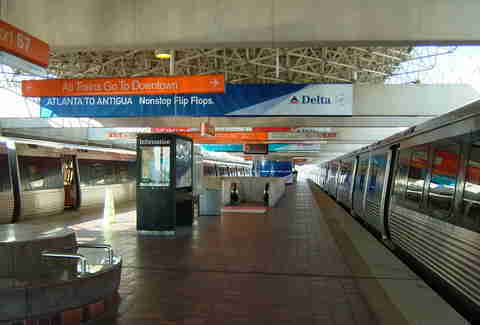 Take MARTA there. Don’t park. Either before or after your BAR-TA trip, take the A-Town train all the way South. With our horrible traffic (and drivers), this is one of the few good uses or our admittedly limited transit system. 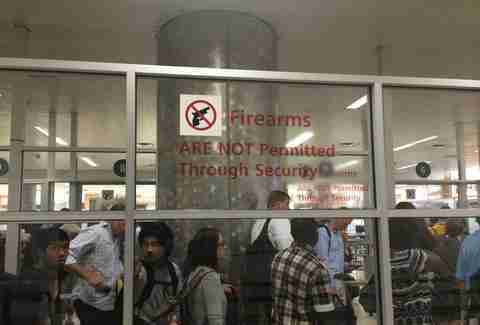 All the signs point you to the massive cluster of humanity between the two gates. Do not follow them! 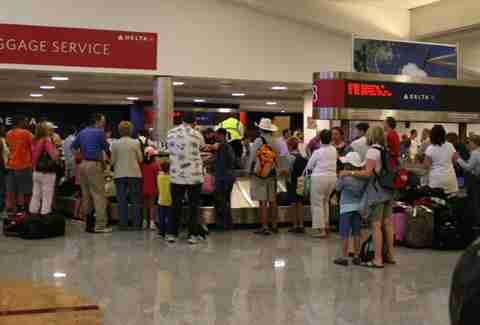 Find the North or South security lines, which are almost always shorter. 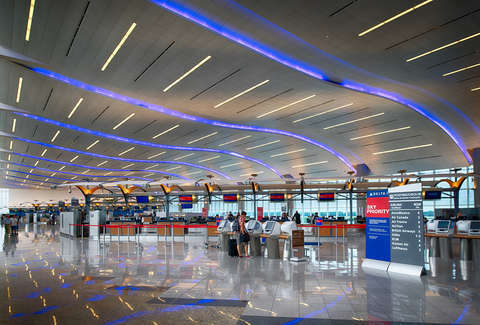 If you’re really slick, use the airport’s security Trak-a-Line to really breeze through. The most valuable $85 you ever spent is on a TSA PreCheck, which lets you blow past people waiting in line (and avoid all that disturbing eye contact with the screener as you’re putting your belt back on). 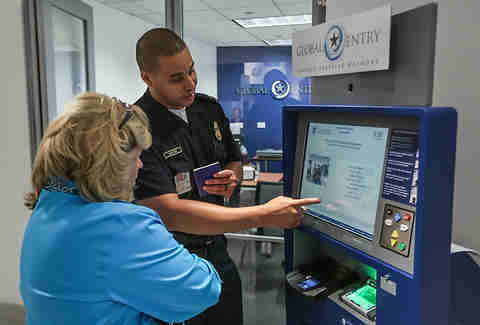 Opt for the $100 Global Entry and you get all that plus you get through Customs and Border Protection quicker. Since this is the city where the players play, plenty of beer spots and “clubs” have opened in various terminals. 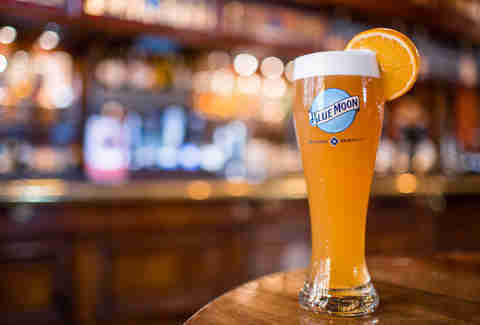 Jay Z’s 40/40 Club can be found in Concourse D -- there’s no cover charge, and it’s more of a shiny sports bar, so don’t worry if you’re not fully dressed -- or stop by the Blue Moon Brewhouse in Concourse E if you aren’t as worried about impressing your bae. Day passes to the airlines’ first-class lounges are a surprisingly unknown pay-to-play perk. For the price of a few rounds and sandwich, you can get all-access to drinks, snacks, and a chill vibe away from the screaming kids and people eating weird, homemade-food. Being a Delta hub, you’re tripping over Sky Clubs at every turn, but a handful of other airlines have 'em too. 7. Mix your own cocktail? You can usually get at least six 50ml (formerly “airplane”) bottles of liquor into your allowed one quart plastic bag, but full disclosure, it is a federal violation to consume any booze on board that hasn’t been poured by a “certificate holder,” aka your flight attendant. Of course, we’re not advocating any outlaw behavior, but for entertainment purposes, here are some tight in-flight craft cocktail recipes. 8. Use the water fountains?! Yup! 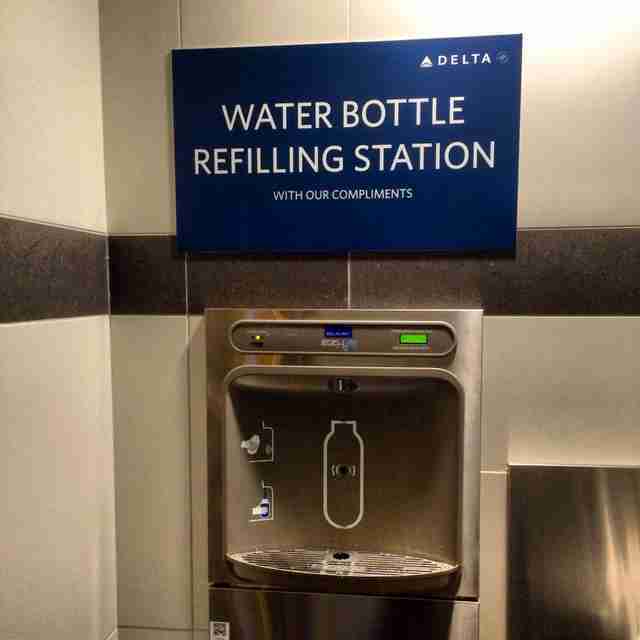 For your hydration needs, specially designed bottle-filling fountains have been installed so you aren’t forced to throw away your screw-top at security. Pack an empty drinking vessel, and you can fill it in once you're through. Maybe you'll make a friend flying to your destination, share a few drinks at the premium lounge, and end up getting a free ride when you land (in a car, that is, you deviant). A daybed sofa, pillows, and fresh blankets in a fully secluded napping or working station are yours for $30 an hour. That price tag includes a full audio-visual setup with satellite TV, Internet, a phone, a desk, and an office chair. Sure beats slumping onto the shoulder of the Grandmother on her way to Phoenix. Because when it gets to baggage claim, you’ll be the first on those giant escalators to ground level and the first to your luggage carousel.